In honor of this week, I have decided to complete these simple little things that make me happy. So whether you are a resident of Dublin or a visitor, I challenge you to explore a week’s worth of Dublin treasures. Peanut Butter: Maybe this list isn’t necessarily in order, but yes, I consider peanut butter life’s simple treat that makes rain clouds disappear. The best peanut butter in the world (seriously) is made right here in Dublin. 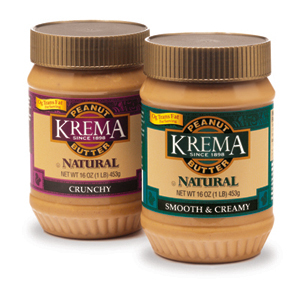 KREMA Peanut Butter. This peanut butter has been featured on The Today Show, Prevention Magazine, Men’s Health Magazine and Cooking Light Magazine. Why is it so awesome? Well besides from being owned by the two most adorable, blonde sisters, Melissa and Nanette, it has only one ingredient; peanuts. Who would have thought? Learning something cool: Did you know the City of Dublin commissioned a public artwork in recognition of veterans and their families? 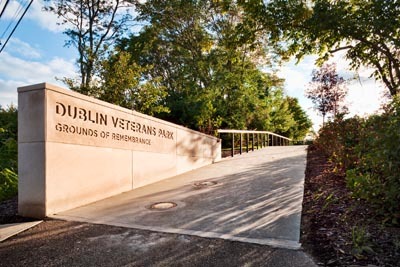 The Dublin Veterans Project is a lasting tribute to those men and women who have served our country in war and peace. It also received a National Honor for outstanding achievement and is featured in the September 2011 edition of Landscape Architecture. The Grounds of Remembrance in Dublin Veterans Park will be hosting Dublin’s Veterans Day Ceremony from 11 a.m.-noon Friday, Nov. 11. Veterans are invited to enjoy a complimentary breakfast from 9-10:30 a.m. at La Chatelaine, 65 W. Bridge Street. Really good food… and lots of it: The varieties of culinary creations keep growing in Dublin. I’m not sure if that directly correlates with my growing waistline… either way, when I do bring home bags of groceries, I usually just go out to eat anyway. Why? Because it’s more fun. Also because I’m good at finding deals. Like at Max & Erma’s Restaurant. They have ongoing weekly specials; $5 munchies during their Happy Hour (Monday-Friday), Free Cookie Wednesdays and Kids Eat Free Tuesdays. Ok, I don’t have kids, but if I did you better believe I’d be taking little Audrey to get her chicken tenders. Singing loudly to a live band: It’s a very realistic possibility I will have hearing problems in the future because I love experiencing live music. You may think we only have fiddlers and bagpipers here in Dublin. I challenge you to check out our authentic Irish Pub this Saturday, Nov. 12 and listen to some rocking covers by The Jenkins & Scott Band. 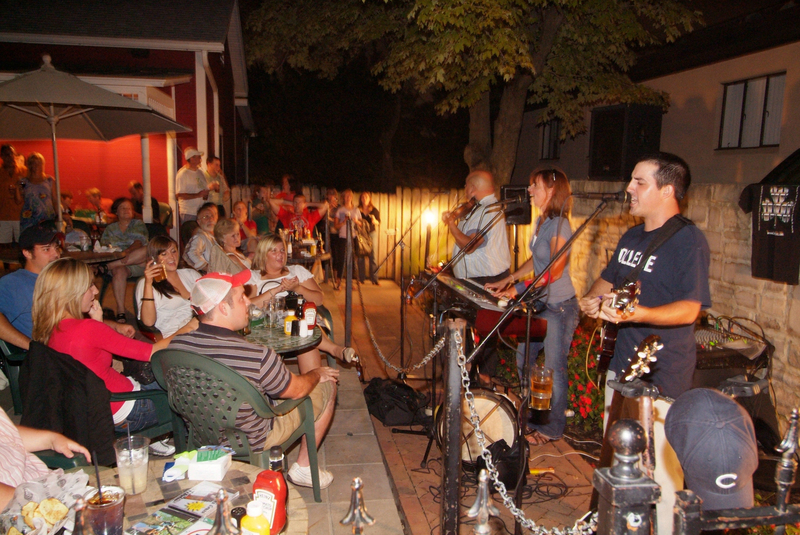 There’s live music here in Historic Dublin every weekend. Singing loudly is optional. Eating fish & chips is mandatory. Exploring art exhibits: If my artistic talent could support my shoe fetish, I’d be at home painting. Since some things have to be labeled “hobbies” I choose to view the masters by going to art museums. Did you know Dublin has its very own art gallery? 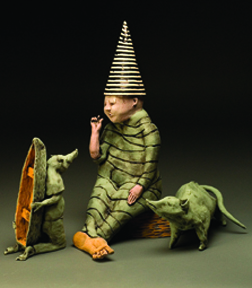 The Dublin Arts Council selects incredible exhibits and will be featuring “Oh Rats!” a collection of ceramic sculptures by Juliellen Byrne. The exhibit’s grand opening is Tuesday, Nov. 15 with a reception for the artist from 6 to 8 p.m. The exhibition remains on view at Dublin Arts Council through Dec. 16. 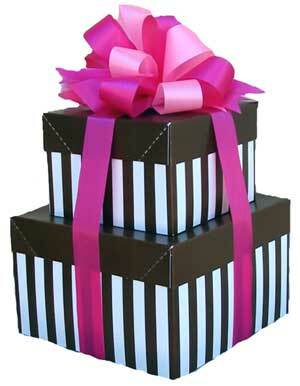 Shopping with no regrets: When I go shopping, it is a hunt. I scour clothing racks and home goods like a lioness ready to make her kill. Here at the Bureau, we understand you probably look for deals too. That’s why we have amazing travel packages, like our new Kids Go Free Columbus Zoo Wildlights Getaway Package. You can also download our Discover Dublin Discounts where you can get deals from some of our favorite places in Dublin. *Cough… Clover Boutique… *cough *cough. Sleeping like a baby: Sometimes the best part of being awake during your day is knowing you can soon go back to sleep. I take my slumber very seriously. So does the Crowne Plaza Hotel in Dublin. They actually did a study about the sleep necessities so you can receive your best night’s sleep. Lavender room spray, a curtain clip, and body hugging duvets are all a part of their Sleep Advantage system. Oh and if they miss your scheduled wake-up call your room is free. 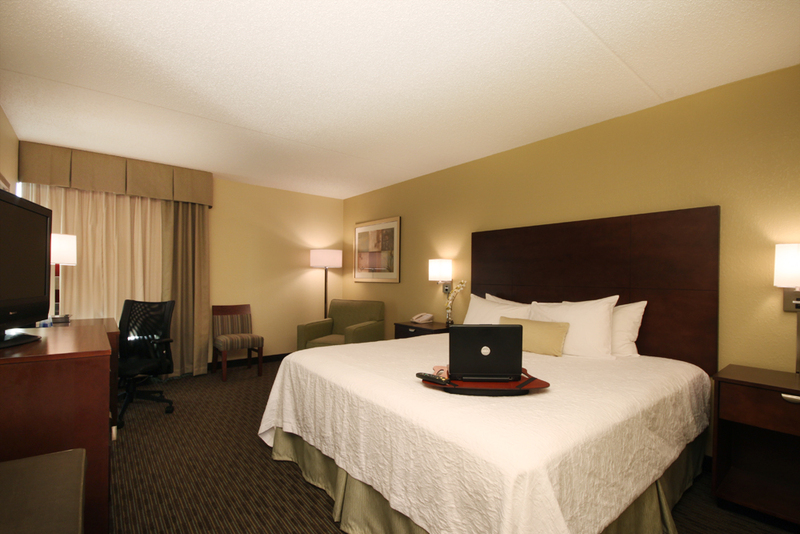 Be sure to check out all of our Dublin hotels. Your happiness list may vary, but be sure to turn to the Green Team at the Dublin Convention & Visitors Bureau if you need help. We are the local experts here to make your experience a happy one.